A yummy nibble of what this mighty newsmouse has to offer. Mysteries, chuckles, close shaves, whisker-twitching thrills, great colour pictures and lots of smelly cheese! 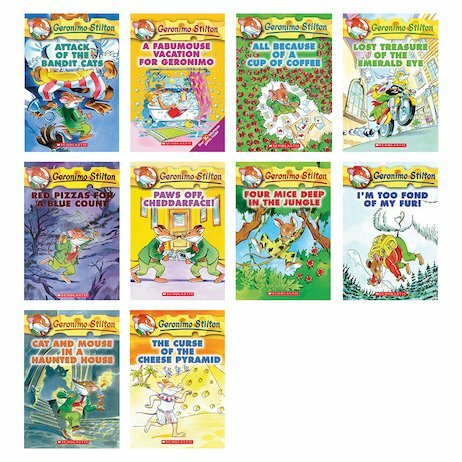 Geronimo Stilton is a rodent reporter with a knack for getting caught up in big adventures. That gives him plenty of scares – and loads of stories to write up in The Rodent’s Gazette. (And in these brilliant books.) If you love to laugh, you’ll love them. They all have amazing colour pictures and enough silly puns to fill the holes in a Swiss cheese. There Was an Old Mermaid Who Swallowed a Shark!